Surgery can be a major trauma and there have been tremendous efforts in the last century to make it easier for patients. Over the last decade, there have been advancements in the field of surgery, especially gynecologic surgery. The use of less or minimally invasive forms of surgery help patients feel better sooner with less recovery time, less time in the hospital, less scarring, and less pain. 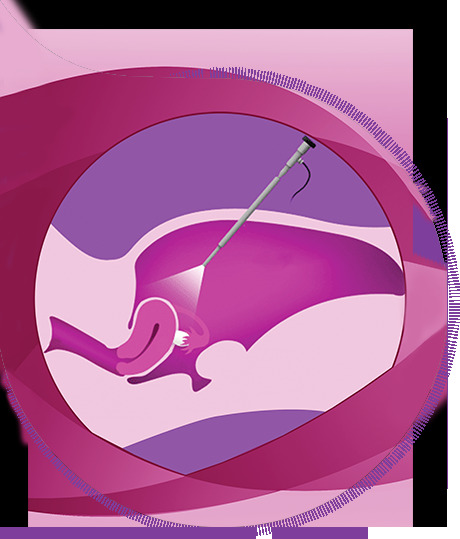 BirthRight has been offering traditional surgery option to patients, but now, we also offer patients minimally invasive procedures that use the latest in endoscopic, laparoscopic, and hysteroscopic equipment. Endoscopes are long, tube-like instruments with a small video camera and light at one end. These are introduced through small cuts in the skin. These tools permit the surgeon to see inside the body as well as use instruments used to manipulate tissue to correct the condition. Since there are fewer incisions, it results in faster healing and faster return to normal activities while providing the same benefits as conventional surgery. The advantages of endoscopic surgery is that patients have less postoperative discomfort, less scarring, and faster healing. The pain also resolves itself more quickly than with conventional surgery. Our endoscopic surgeons can perform these procedures through two or three incisions that are less than an inch in length. These heal fast and over time leave minimal scars that would not be even noticed.